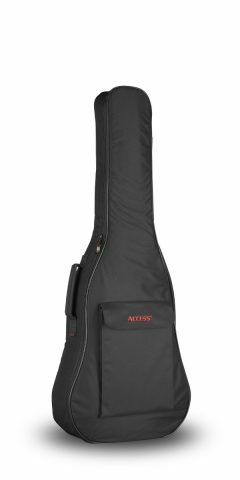 View cart “UpStart 3/4 Size Acoustic Guitar Bag” has been added to your cart. Our UpStart Series was designed to provide players with an alternative to the flimsy beginner guitar bags that don’t do much more than protect an instrument from dust and rain. The UpStart bag quite literally stands up to the competition with a rigid HardCell™ high-density foam core that gives our bag the backbone to offer true protection. And with additional features like backpack-straps and a generous portfolio pocket, the UpStart bag earns points for portability and convenience, too. With our OEM resources in play, we’re able to offer this well-stocked entry-level bag at a very light entry-level price.